The Unicorn’s Christmas offering is a charming foray through the works of the Brothers Grimm, as told by Philip Pullman in his 2012 book. The show includes some nursery favourites like Little Red Riding Hood and some less well-known stories such as Hans My Hedgehog and the Juniper Tree. These are not the sweetened Disney versions but the original tales, which don’t shy away from cruelty and violence. 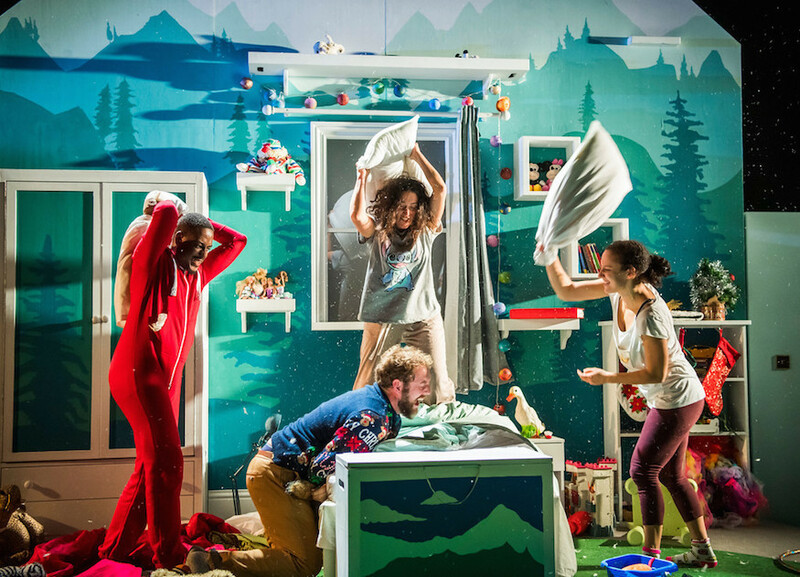 The opening scene, an untidy Ikea bedroom, with toys and dressing-up clothes strewn around, will be familiar to many parents. These props and costumes are used to great effect as a kids’ pre-Christmas sleepover gets absorbed into the dark fantasy world of some sinister forest-based adventures. Despite being two hours long, the show manages to keep its young audience engaged. A number of primary school groups sat in spellbound silence on our visit, with one scary moment even drawing screams from the auditorium. The energetic cast of seven slip seamlessly between child and adult roles. 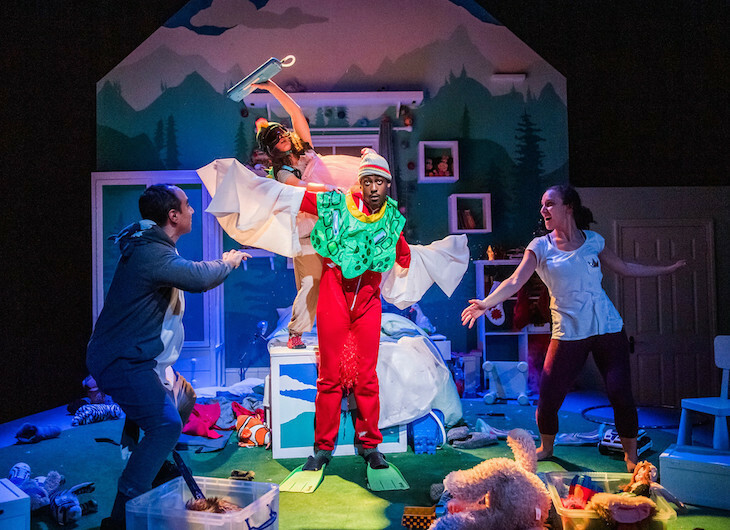 Performer David Emmings plays both the patient Dad, who calms his excitable children with bedtime stories, and the evil woodcutter Dad in Hansel and Gretel, who abandons his children in the woods. The juxtaposition serves well to suggest that even seemingly-nice parents cannot be trusted, and sometimes children need to break free and make their own happy endings. 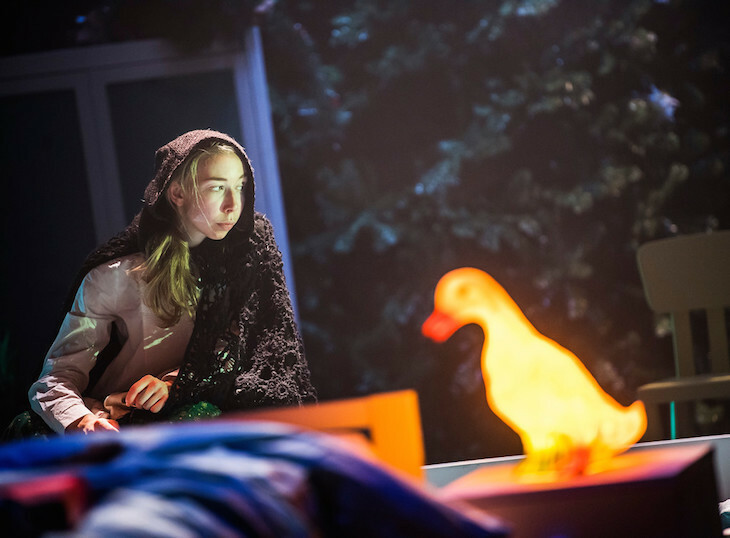 Philip Pullman’s Grimm Tales, Unicorn Theatre, 147 Tooley Street. Tickets £12 - £26, until 6 January 2019.